Ukraine is going to the polls amid stalled reforms, multiple corruption scandals, and low trust in political institutions. Despite this, more than 80 percent of voters plan to take part, and the election is truly competitive. And although one candidate is leading in the polls, top political operatives are predicting a different outcome. For Ukraine, the year 2019 represents a test of sorts. Five years ago, the country experienced a revolution followed by a period of painful and largely unproductive reforms. Now it faces a rapid series of elections—presidential (March–April 2019), parliamentary (October 2019), and local (2020). The previous presidential vote, held in 2014, was in many ways part and parcel of the Euromaidan’s attempt at a revolution. According to an apt description from a recent study, May–November 2014 saw the legitimization of a new political order and set goals for the impending period of reforms. During this time, Ukraine improved its freedom rating from 3.5 in 2012 and 2013 to 3.0 in 2014 (although it did backslide to 3.5 in 2019). But these fluctuations did not fundamentally change Ukraine’s consistent “partially free” classification, which places it alongside states like Georgia and Moldova. We see this degree of freedom—which prevents some post-Soviet states from a full-scale backslide into the “non-free” zone—in the current campaign. Combined with unmet expectations from 2014, scandal, and fierce political rivalry, it makes for a competitive but highly contradictory election. The 2019 vote—the seventh in Ukraine since 1991—will be governed by virtually the same rules that have been in force since 2000. Despite efforts by some post-Maidan elites, electoral reform has not gone anywhere. A new electoral code, adopted in the first reading in 2015, was definitively buried under an avalanche of amendments. The electoral rules have only been slightly altered in the context of the military situation to prevent Russia from influencing the Ukrainian vote. The election is also taking place in an atmosphere of low faith in political institutions. According to a recent poll, only 8 percent of Ukrainians trust the country’s parliament; 11 percent trust the Cabinet of Ministers; and 16 percent have confidence in the president. Meanwhile, 80, 74, and 70 percent, respectively, distrust these institutions. Despite such a significant degree of distrust (or perhaps because of it), almost 85 percent of Ukrainians stated that they would vote. And the indicator from February is much higher than the one from December—previously, only 79 percent of the voters planned to come to the polls. That increase stems from formerly passive residents of southeastern Ukraine who now plan to cast their ballots. When candidate registration ended in early February, forty-four people had made it onto the ballot. This is an absolute record in the history of Ukrainian presidential elections. The revolutionary 1991 election featured just six candidates. There were seven candidates in 1994, 13 in 1999, 24 in 2004, 18 in 2009, and 21 in the 2014 post-Maidan election. The current spike in candidates indicates a popular search for new leaders, as well as attempts by key influence groups to introduce dummy candidates with no real chance of winning. The previously mentioned poll also indicates that more than half of voters want “new faces” on the political stage. And about the same percentage would like to see an “experienced politician” as president. At this point, only three candidates have a real shot at making it to the election’s second round. They are actor Volodymyr Zelenskiy, incumbent president Petro Poroshenko, and former prime minister Yulia Tymoshenko. Zelenskiy’s popularity is the major surprise of this election. After announcing his candidacy on New Year’s Eve, the comedian, popular actor, and successful businessman quickly rose to first place in the polls and became a force to be reckoned with. Zelenskiy’s platform is largely incoherent and naïve. His hastily assembled team can’t run a professional political campaign, and the candidate himself comes across as an incompetent politician who shocks both Western ambassadors and some leading Ukrainian opinion-makers alike. Many are frightened and dismayed by his ties to oligarch Ihor Kolomoyskyi, who owns the television channel where his shows are broadcast. Despite that, Zelenskiy is the front-runner of this presidential campaign. His voters see him as a person capable of breaking the vicious cycle of confrontation between Maidan and anti-Maidan political forces, which has defined the country’s development since the 2004 Orange Revolution. Zelenskiy’s unclear ideology makes him the candidate of many Ukrainians—particularly the younger generation—who pin their often contradictory hopes, worries, and expectations on him. 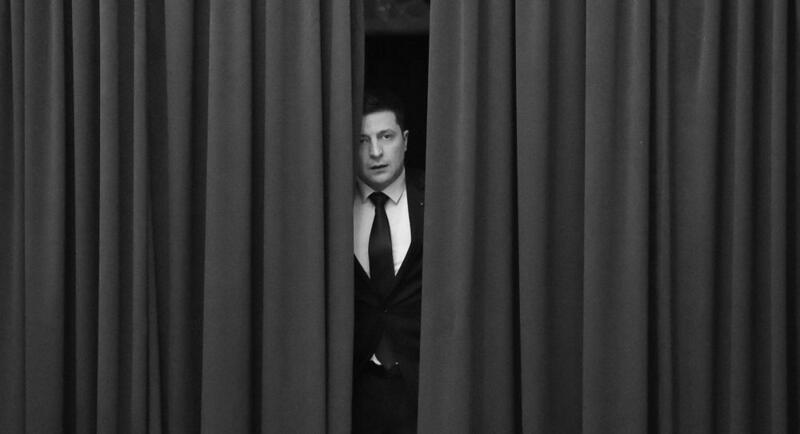 And Zelenskiy’s leading role on the Servant of the People television show, where he plays an idealized president of Ukraine, is to a large extent responsible for his popularity. 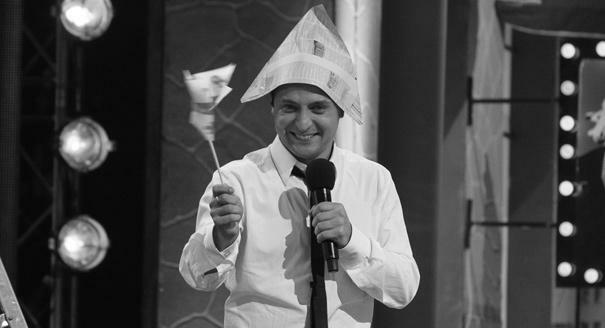 Nevertheless, no one seems to confuse the real Zelenskiy and his character on his show. Following a long period of stagnation in 2018, incumbent president Petro Poroshenko has unexpectedly improved his standing in the polls, even catching up to the campaign’s prior favorite, Yulia Tymoshenko. The commander in chief demonstrated strength and determination to win with a number of conservative and patriotic initiatives this past year. He helped secure canonical independence for the unified Orthodox Church of Ukraine, introduced aspirations to NATO and EU membership into the Ukrainian Constitution, imposed a state of emergency in November and December 2018 after a confrontation with Russia in the waters near Crimea, and increased the salaries of army personnel, especially those serving near the front line. These efforts attracted quite a few supporters to the Poroshenko camp and put him in second place. 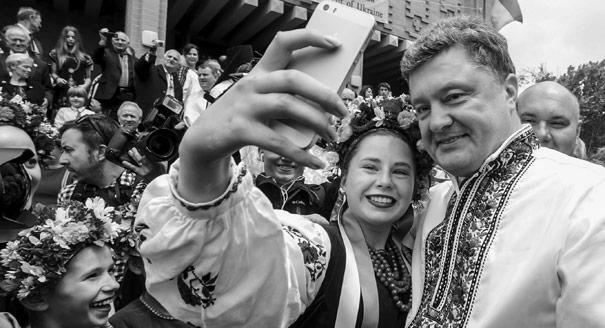 Poroshenko’s platform features a pro-NATO foreign policy orientation, support for greater security through army reform and strong alliances with the West, and promises of domestic reforms to improve socioeconomic conditions for ordinary Ukrainians. My conversations with Ukrainian voters suggest that they believe in Poroshenko’s ability to implement the foreign policy portion of his platform, but doubt he can do the same on the socioeconomic front. While Zelenskiy’s supporters have so far been largely unswayed by criticism leveled at him, the incumbent president has not been so lucky. A series of scandals have left him in an extremely vulnerable position. 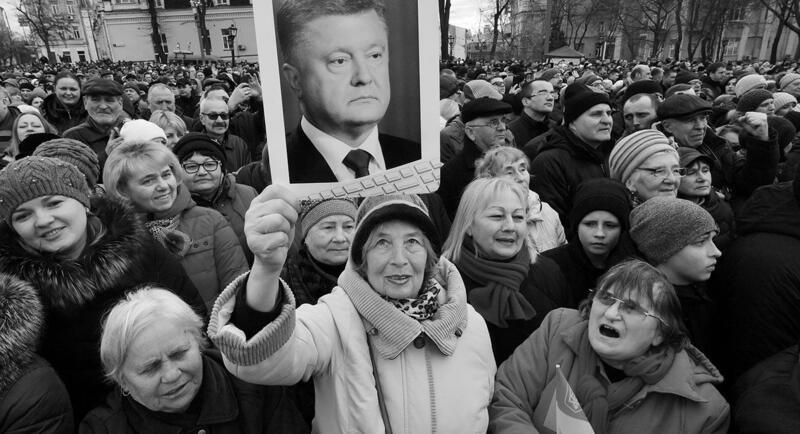 First, reports that the Poroshenko camp had been preparing for a mass vote-buying campaign dealt a blow to the president’s pro-Western image and harmed his popularity with some of the pro-Maidan electorate. Meanwhile, since late January, former front-runner Yulia Tymoshenko has fallen to third place. In the summer of 2018, she presented her “New Course for Ukraine” political program to the public. However, by winter her campaign had become boring and appeared to repeat Poroshenko’s initiatives. Currently, Tymoshenko’s team is trying to at least secure her a spot in the runoff. To this end, Tymoshenko is actively exploiting both the vote-buying and Ukroboronprom corruption scandals, even proposing launching impeachment proceedings against Poroshenko. This will have no serious legal effect, but will be of some propaganda value. Tymoshenko has also spearheaded a promising initiative to compensate Ukrainians for “illegally increased utility payments.” Tymoshenko’s representatives want state gas company Naftogaz to return the extra money people paid due to government-mandated gas price hikes since 2016. However, Tymoshenko is also not immune to accusations herself. In fact, Ukraine’s Security Service (SBU) claims that she has also devised a vote-buying scheme. One important feature of the previously mentioned election poll is that it not only determines the front-runners, but also analyzes their runoff prospects. According to its results, Poroshenko would lose to both of his most likely opponents—Zelenskiy and Tymoshenko—in the runoff. Conversely, Zelenskiy would defeat both Poroshenko and Tymoshenko. Nevertheless, the campaign can still deliver surprises. As of early March, 32 percent of those polled remain undecided or have no plans to participate in the election. The front-runners are now trying to capture their votes. On February 20, I was able to interview twelve top-notch political consultants representing presidential candidates with polling ratings of over 5 percent, including two each from the three front-runners’ teams. Despite the infinite electoral cynicism so characteristic of people in this profession, everyone agreed that the campaign results were impossible to predict. Nevertheless, ten out of twelve named Poroshenko as the most likely winner. Collectively they assessed Poroshenko’s odds of winning as six out of ten, Tymoshenko’s as three out of ten, and Zelenskiy’s as one out of ten. If even this group of cynics—well-informed about what goes on behind the scenes of Ukrainian elections—declared the vote competitive, then it truly is. That may be the only predictable thing about this election. Ukraine: What Comes After the Presidential Election?